I got to see the new Canon 5D Mark III firmware in action that will not be coming out until the end of this month. 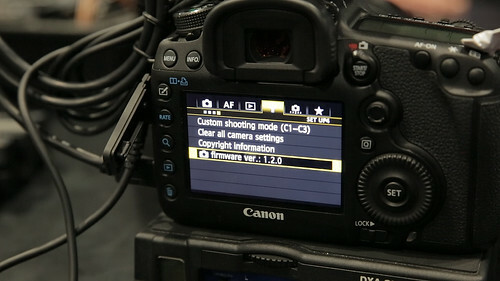 It appears that Atomos has been working closely with Canon because the integration between the Ninja 2 and the Canon seems well thought out. The new firmware will allow clean and uncompressed signal to the Ninja recording device. I have never tried using an external recorder so it will be interesting to see the differences between what is captured off the SD card and what is captured on the Ninja device.